The BBC confirmed yesterday that Trapped, Follow the Money and Cardinal would be returning to BBC Four and that they have also purchased the Australian drama, Safe Harbour. 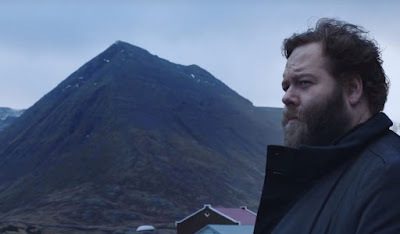 After the success of the first series on BBC Four, series two of the acclaimed Icelandic crime drama Trapped returns. Outside Parliament in Reykjavik, a man throws himself at the Minister for Industry, setting fire to them both. Andri Olaffson, now working in Reykjavik, is assigned to the case and quickly learns the attacker was the minister’s twin. Their family’s roots are in the North, in the very area Andri had hoped to leave behind, where his old colleague Hinrika is now Chief of Police. Trouble is brewing in the town, with widespread anger at a power plant, drilling and a proposed aluminium plant. Shortly after Andri’s return the power plant’s foreman is found dead. Are the two incidents - the murder and the attack in Reykjavik - connected? No news yet on the transmission date.